The Widener University CHSS professors have done a great job leading by example to educate us on the intricacies of their own teaching activities. Through conversation with my peers, books I have read, my own teaching experience, and my fantastic practicum course, I have learned numerous other activities and have come to value a few in particular. For one of my final blog posts of my Masters, I want to share a list of my favorite learning activities thus far. The Alligator River. They say that you learn best by doing, I don’t know who says that exactly, but it seems to be true! I was a participant in this activity during the ethics portion of History and Ethics (594) and fell in love with it. This is an experiential exercise focused on values clarification. Participants read a story about a woman named Abigail and the trials and tribulations she goes through to get across the river to her beloved. Participants then rate the characters from most to least objectionable, and through this process, they have to clarify their values. After they have done this silently, the facilitator asks each participant to get the others in their group to agree with their own ranking. Then, the facilitator asks the participants to take on the point-of-view of another person in their group. The primary goal of the Alligator River activity is to reinforce the idea that “listening is poorest when communication is competitive” (Silberman & Auerbach, 2006). The Snowball Activity. This activity is all about creating a safe place for sharing and inducing group cohesion. The best part is that a participant can share something sensitive, yet it will be completely anonymous. Justyn Hintze wrote a great blog post about this particular activity, check it out to learn how to incorporate it into your own lesson plan! With your students, talk about personal strengths and what it means to be a hero. Have them identify a superhero strength or strengths of their own. Continually reinforce these strengths with arts and crafts, and prizes. 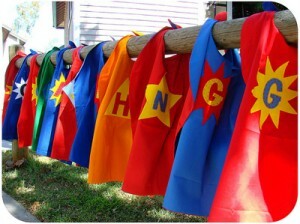 You could plan an activity to create and decorate superhero paraphernalia such as capes, cuffs, wands, swords, masks, and headbands that each symbolize one of their strengths (click on the respective links to get instructions on how to make these in class!). 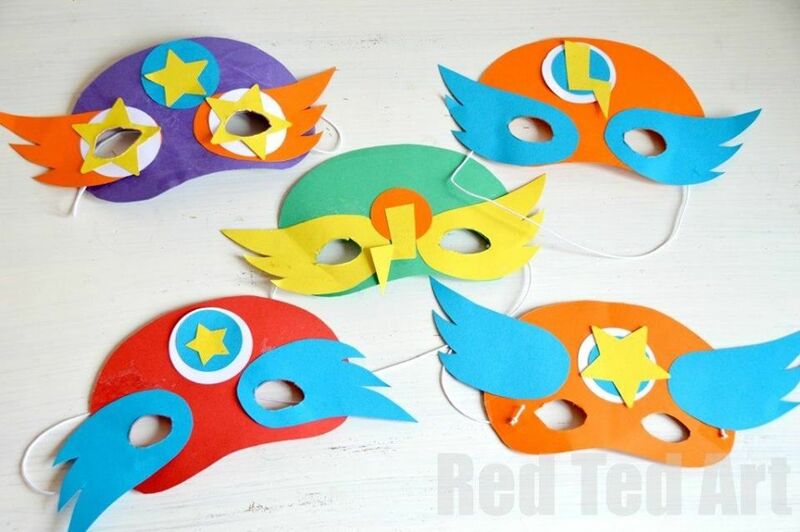 Let the kids tailor their superhero accoutrements to fit their own style and their own symbolic interpretation of their strength. You can also give out prizes such as lightening bolt stickers for good deeds. These are easy, fun, and affordable activities to empower your students. Remember there are plenty of modifications you can make to this activity, these are just the bones of it. Make sure that each activity is accompanied with a discussion though, because it won’t be learning if they only put some hot glue on some paper and stick glitter to it. They actually have to discuss their strengths and how their cape, mask, sword etc. exemplifies their superhero strength. Think-Pair-Share. Tried and true, this method can be used in a myriad of settings. Think-pair-share allows each participant a chance to speak and practice listening. According to Vezzuto (2005), participants are more likely to respond in the larger group after they participated in think-pair-share. This method requires the facilitator to ask a question, participants to think of a response, and then pair off with their neighbor to discuss both of their responses. Now that I am aware of this activity, I see it happen everywhere. It is easy and practical for large groups. Silberman, M. L., & Auerbach, C. (2006). Active training: A handbook of techniques, designs, case examples, and tips (Vol. 13). San Francisco, CA: John Wiley & Sons. ← The Forgotten Topic: MASTURBATION!!! !